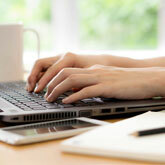 HSIS provides information and comment to the media about food supplements. 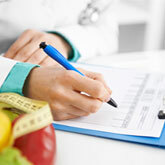 HSIS provides information for health professionals working in the field of diet and nutrition. Search our A-Z of vitamins, minerals & food supplements, for accurate and balanced information. Vitamins and minerals are essential nutrients that the body needs in very small amounts to work properly. Eating a healthy, balanced diet is the best way to get all the nutrients the body needs. Does taking supplements replace the need for a varied and balanced diet? As the name suggests, food supplements are only intended to ‘supplement’ people’s diets and not replace healthy foods. What happens if people don’t get all the vitamins and minerals they need? Nutrition underpins good health and a considerable body of research has highlighted links between inadequate intakes of vitamins and minerals and poor health. What is an NRV and why is it important? Is it safe for children to take supplements? The Department of Health recommends that all children aged six months to five years are given a supplement containing vitamins A, C and D.
Combining supplements will not normally interfere with the way they work and in some cases may be beneficial, for example vitamin C helps iron absorption. Can some supplements stop medicines from working? Supplements will not generally stop medicines from working. However, there are interactions between nutritional status and the action of some medicines. What’s the difference between a food supplement and a herbal medicine? Herbal substances come from plants and many are used in both food supplements and medicinal products. What should people check when choosing a food supplement product? The quality of food supplements varies considerably. It is safest to buy from a reputable brand and retailer. Can HSIS provide advice about bringing food supplements products to market?